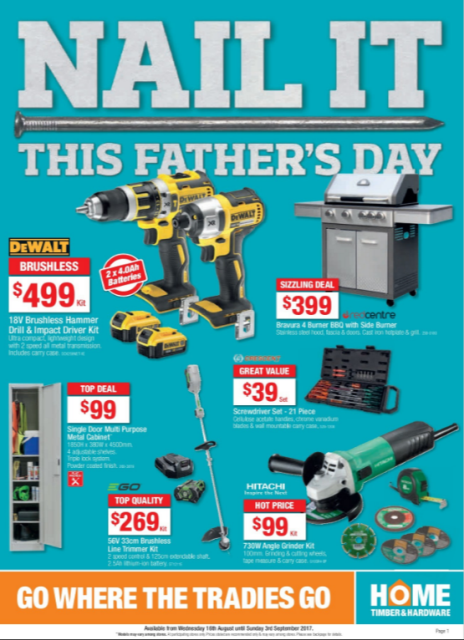 There is a lot of activity at Drysdale Timber and Hardware over these next few weeks as families start to look for gifts for Fathers Day. Drysdale Timber and Hardware is a perfect place to start with as we have a great range of power tools, garden tools and a large range of plants. Why not give a gift that can be practical as well as personal. Our new catalogue has a great range of ideas that will make any Dad happy. If all else fails we do have Gift Cards – so you can leave it to Dad to decide.